Progressive Charlestown: How did Jared get his security clearance over CIA objections? 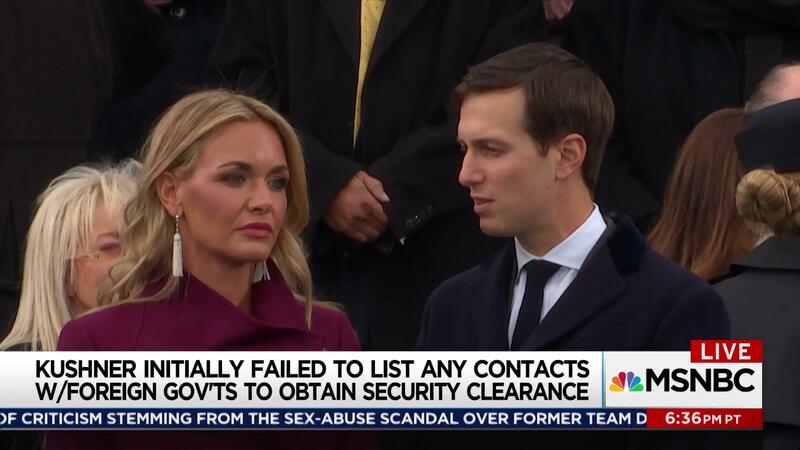 How did Jared get his security clearance over CIA objections? We’re all going to be learning more about a guy named Carl Kline, a former Pentagon official who was put in charge of personnel security in the White House in 2017. He’s the guy who set aside all that might have been considered troubling about Jared Kushner’s background and international financial entanglements involving his family’s business to grant him a White House security clearance. NBC News was the first to report about Kline, whose intervention in White House clearances has resulted in granting the special certification to see secret government information to more than 30 individuals. Kline’s predecessor in the job had overruled intelligence agency reviews of White House clearance candidates only once in three years. It was only when the CIA reviewed a request to give Kushner yet more access to classified information that the Kline actions came to light. Two sources who spoke on condition of anonymity because of the sensitive nature of the information told NBC that the Trump White House attracted many people with untraditional backgrounds who had complicated financial and personal histories, some of which raised issues. To gain access to “sensitive compartmented information,” requires CIA authorization, which was withheld. That would mean Kushner lacks access to key intelligence unless Trump decides to override the rules, which is the president’s prerogative. The sources said they did not know whether Kline was in communication with senior political White House officials. Following an FBI investigation, the Kushner case went back to the White House office of personnel security, where a career adjudicator reviewed the FBI information, including questions about foreign influence and foreign business entanglements, the sources said. The Washington Post, citing current and former U.S. officials familiar with intelligence reports on the matter, reported last February that officials in at least four countries, including the United Arab Emirates, China, Israel and Mexico, had privately discussed ways they could manipulate Kushner by taking advantage of his complex business arrangements, financial difficulties and lack of foreign policy experience. Sources also told NBC News career employees of the White House office disagreed with other steps Kline took, including ceasing credit checks on security clearance applicants. This is not the way to run the railroad.